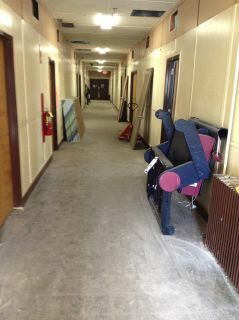 The hallway has been cleaned up. Nothing has really changed in the Layout room. 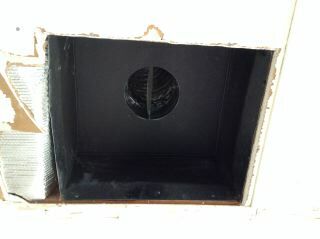 The new ducts are all in place. 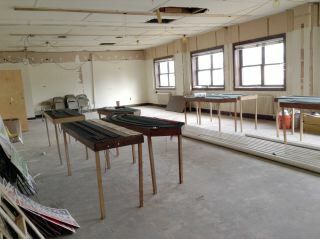 The cosmetic boxes are built and waiting to be installed. 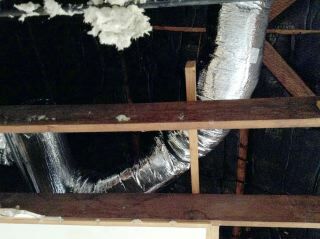 The ceiling needs to be patched, but the duct work is in. 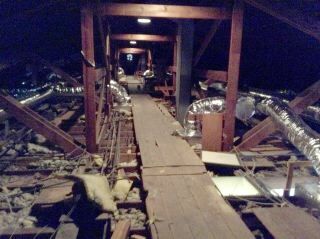 All the ducts have been installed in the attic. 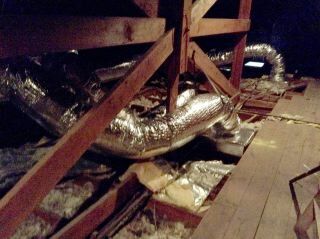 The flexible ducts make it easier to get around the roof joists. Two of the four heaters/air handlers. 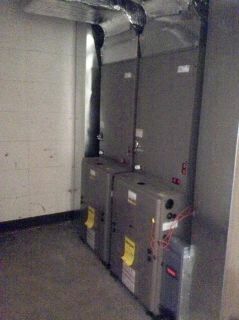 All 4 units have been installed and are waiting for hookup.